A&H Forensic Roofing - Specialists Who Care! At A&H Forensic Roofing, we’re all about investigating and diagnosing your commercial or home roofing problems, providing a solution, and maintaining the integrity of your roof. Our structured investigation contains documentation, providing evidence of relevant problems and our recommendations for solutions. Regardless of the time of year, we are available to provide a free, no obligation inspection of your roofing system. Depending on the roofing system, we recommend annual, or biannual inspections. More often than not, roof leaks occur due to the absence of proper maintenance. Easy to read report, outlining all roofing aspects of the property. Photo documentation with a detailed description of any deficiencies, including location, and corrections needed according to severity. Our Forensic Roofing Specialists are certified professionals with years of experience working with all types of roofing systems. No matter the size or complexity of the project, we’ll do it right and keep it within your budget. In addition, we offer 24 hour emergency service and can dispatch a crew at any time in the incident of an unpredictable occurrence. 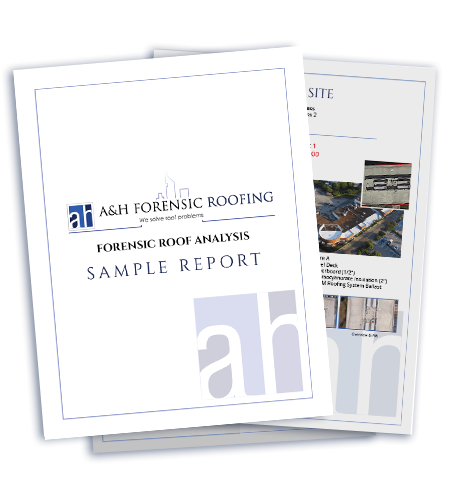 If you would like to schedule a free evaluation by one of our Forensic Roof Specialist’s, please fill out this form and we will respond within 24 hours.